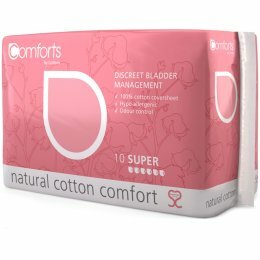 Cottons are one of the world leaders in natural feminine hygiene, and their Comforts range is no exception. Cottons are the incontinence specialists, with mountains of in-depth research and expertise behind them to help create the most effective incontinence pads possible – without synthetic materials. 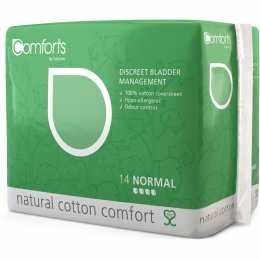 Every Comforts pad is made with a 100% natural cotton coversheet that contains no rayon, polypropylene or polyethylene. The lack of synthetics means that these pads are hypo-allergenic, plus they provide excellent odour control. 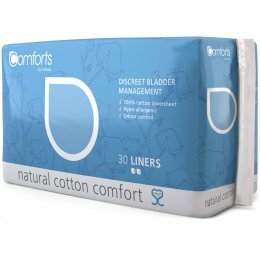 Like the name suggests, Cottons do their utmost to make sure that these pads aren’t just practical, but also super comfortable. These natural pads are a comfortable fit, prevent leaking and don’t irritate the skin. Cottons provide support for the Australian charity Share the Dignity, who give sanitary items to vulnerable women who are homeless or living in shelters for victims of domestic violence.